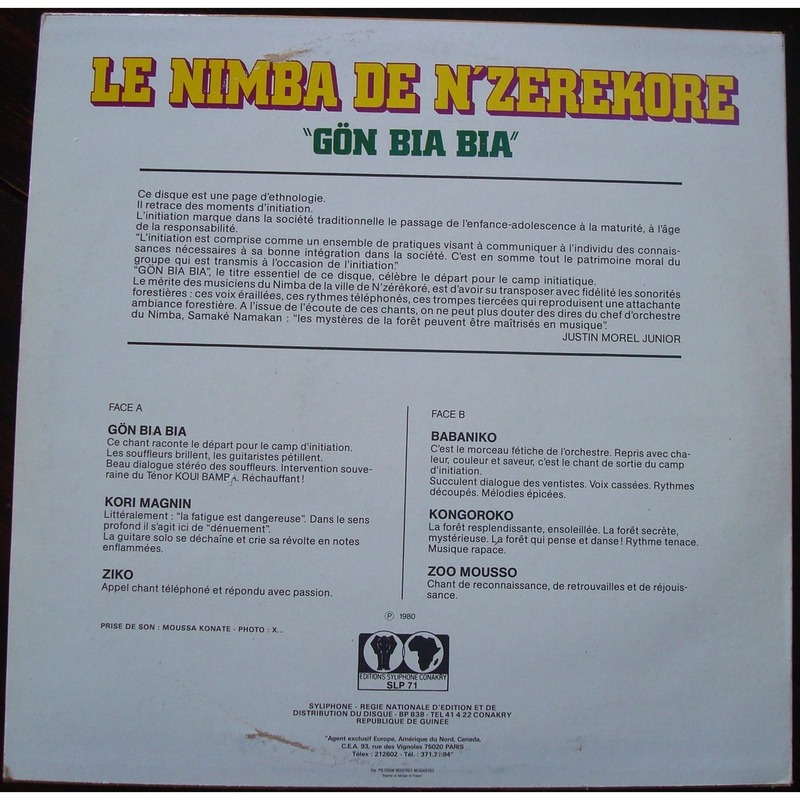 Kori Magnin is the second track on the album Le Nimba De N’Zerekore – Gön Bia Bia, released in 1980. 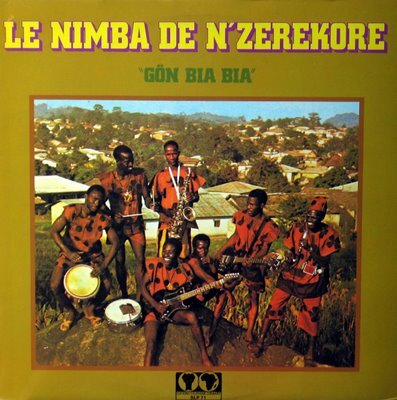 Nimba de N’Zerekore is the name of a market town in Guinea’s forested south east highlands, and the musicians is people from that city. Wild rhythms, spiky guitars and blasting saxes; the sound of West Africa 1980. Musicians from the city of Nimba N’zékékoré / Moussa Konate – Engineer Recording / Samaké Namakan – Leader. Released on Editions Syliphone Conakry ‎Records.